It's that time! Book your package today. 2. Choose your accommodations and dates. Reservations are booked on a first come, first served basis. After you have entered your reservation request we will call you to make the reservation. Please provide your most up to date contact information so that we can reach you. Our accommodations book quickly for this yearly event, so we encourage you to make your request as soon as possible. Availability is not guaranteed. 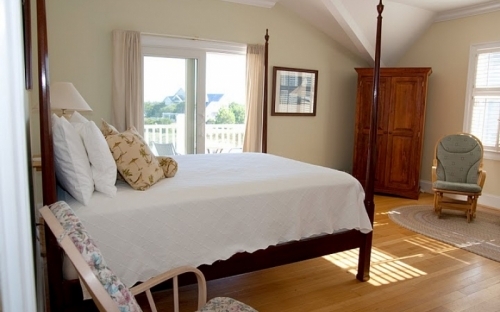 This spacious room includes 2 queen-sized beds (only one pictured) plus a wonderful private deck overlooking the creek and marsh. Regular room price is $335 per night. Our Spring Real Estate Fling gives you 2 nights for the price of one! (Must pay applicable tax) Includes golf cart, daily breakfast and daily house-keeping. 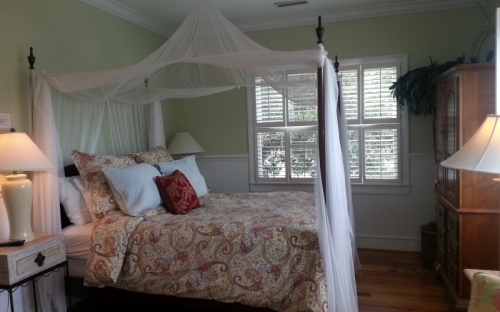 This beautiful Harbour-side room on the 2nd floor has one queen bed and a covered porch with expansive views of the Bald Head Island Marina and beyond. Regular room price is $295 per night. 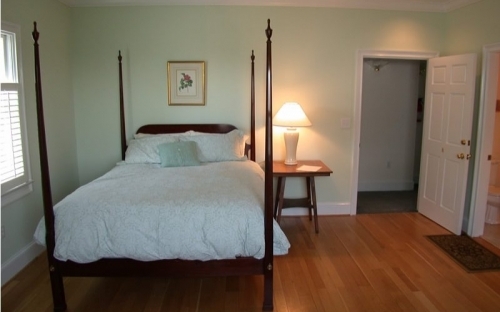 This spacious room features 2 queen-beds each in it's own alcove (only one bed pictured). It overlooks the harbour on the 2nd floor. (No balcony). Regular room price is $320 per night. Facing the harbour, this incredible first floor mini-suite includes a queen bed, sitting area, microwave, refrigerator and breakfast bar. A covered porch on the back side of the suite affords privacy and relaxation. Regular price is $390 per night. Blockade Runner Mini-Suite 2 nights, Fri. & Sat. April 9 & 10, departing April 12. 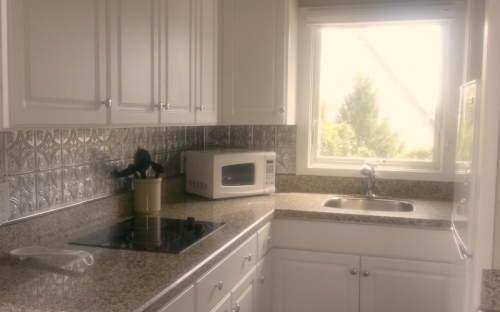 This newly renovated suite includes a living room, galley kitchen (pictured), queen-bedded bedroom, 3 person bunk room and 2 covered porches overlooking the harbour. (Sleeps 5) Regular price is $500 per night. 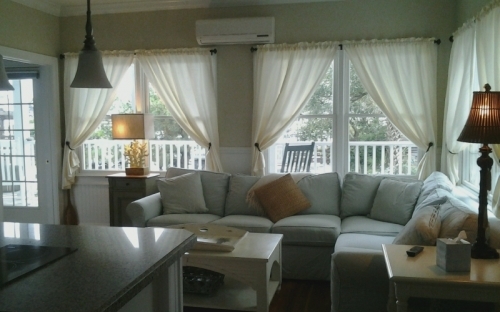 This first floor suite overlooks the harbour with a 40 foot covered porch, a perfect place to experience marina activity. It includes a living room, kitchenette and a queen-bedded room. Regular price is $465 per night.